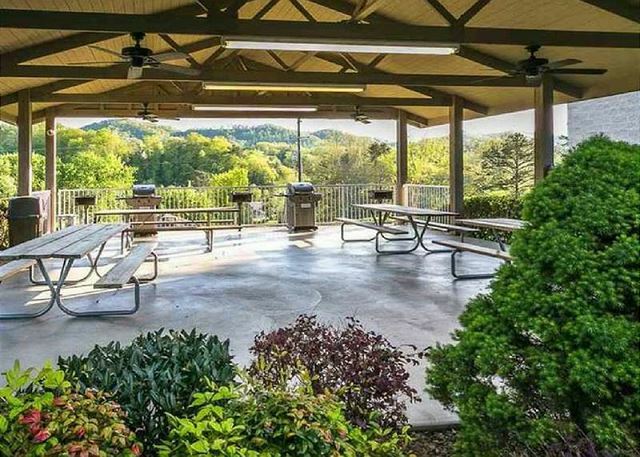 We want to welcome you to Whispering Pines Condo Unit 111 in Pigeon Forge, TN, and we hope you enjoy “Getting Back to Nature” while you are here! 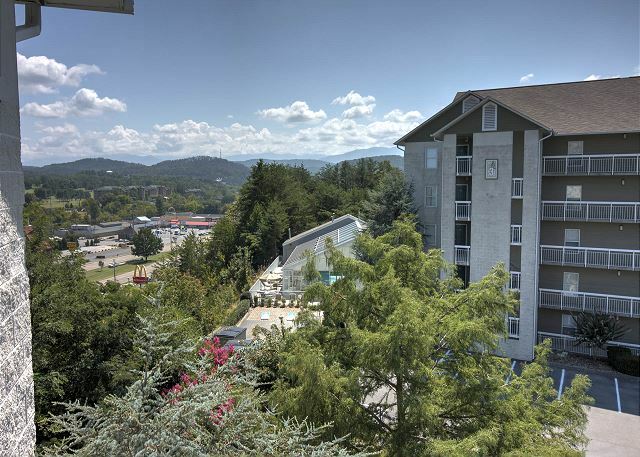 Tastefully decorating our condo with bears, elks, and deer is our way of introducing you to some of the Great Smoky Mountain wild life in the area. Your experience and comfort are our first priority so we have filled our condo with the pleasantries of a home away from home such as a Jacuzzi tub, hardwood floors, flat screen TV and DVD player, king bed, gas fireplace, ceiling fans, complimentary Wi-Fi, a washer and dryer unit, leather furniture that includes a rocker recliner and queen size sleeper sofa. Just wait till you step out on the private, oversized balcony! When you see the great views you will really feel yourself “getting back to nature!" Very clean and tidy.i would consider more stays there and recommend to family & friends. Mgmt informative and not pushy. Thank you for staying with us at Whispering Pines! We're glad you had a nice time during your getaway in city view condo 111. We appreciate you and your kind comments and we hope you'll stay with us again the next time you're visiting beautiful Pigeon Forge! Only issue was the TV remotes did not work very good. Thank you for staying with us at Whispering Pines. Please always let us know if you have an issue during your stay, our on site maintenance department would be happy to assist you. We love hearing that you had a great stay. We welcome you back to stay with us again soon. Just like every other trip here, we had an amazing time. The room was perfect. I slept so well the nights we were there. This is definitely our favorite spot besides the beach. Will continue to visit each year. Thank you so much for continuing to stay with us at Whispering Pines! It sounds like we've become your "home away from home" which we absolutely love hearing. We're glad you were able to add another excellent vacation to the books and get that rest and relaxation that you deserved. We appreciate you and your wonderful review and we welcome you to stay with us again the next time you're visiting beautiful Pigeon Forge! Our third time staying on the property and it is always awesome!!! Cannot wait to come stay again. We like your review and comments and appreciate your patronage! We hope that all your visits with us will be awesome as always. We are excited for your return visits. Thank you for staying with us at Whispering Pines! We greatly appreciate you taking the time to write a review about us, but most importantly we appreciate you and your patronage. We are thrilled to hear that you found your home away from home with us! We welcome you back to visit soon; we certainly look forward to it. Bday weekend/ Rod runs was a success and will stay again in the future. Thank you for sharing your birthday with us at Whispering Pines! What a great way to celebrate! We can't wait to do it all over again your next stay with us; we look forward to it! We apologize for any issue you had regarding the cable and tv. Please let us know anytime you have an issue with anything and we will gladly send someone right up to remedy it. 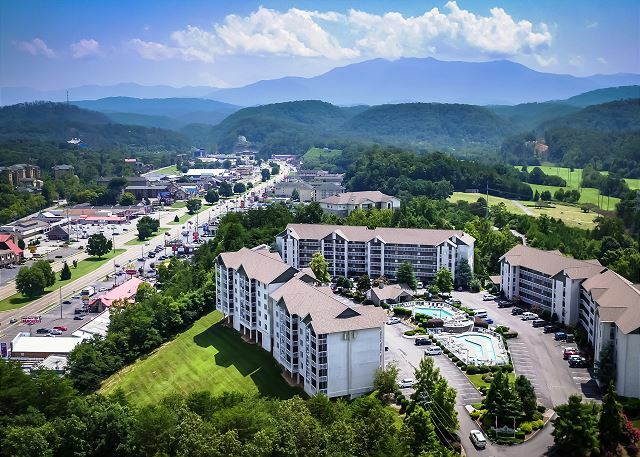 We appreciate you staying and hope to have you stay with us the next time you are in Pigeon Forge! We stay here around 2-3 times a year. Love the location, staff, and accommodations. Wonderful....we are glad that you enjoy staying with us. We enjoy your visits and appreciate your comments about our location, staff and accommodations. See you next trip. It was very good, loved the location and service. Units were good but could use some updating. Thank you so much for staying with us and we are happy you all enjoyed your stay! We will bring your concerns about the unit to the owners attention, come back and see us again soon! We loved our stay with Whispering Pines!! 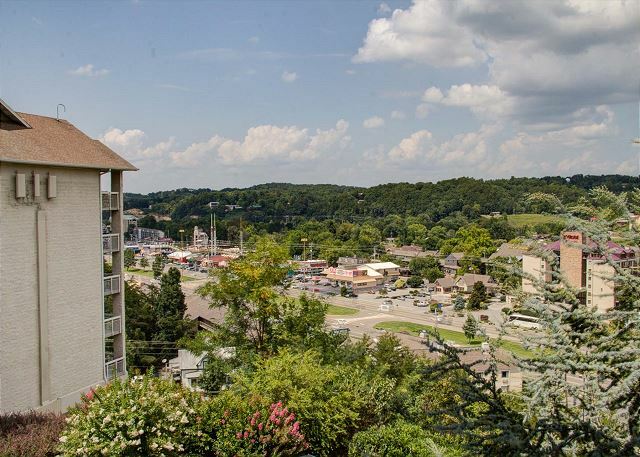 The condo was very clean, the staff was very helpful and friendly, and the location was perfect. We will be staying here again! Wonderful! We are so excited to hear that you loved staying with us at Whispering Pines. Your kind comments regarding our staff and resort mean so much. We look forward to seeing you again soon. September,it was the first time in this room. and we love staying there,stayed twice in 2016. Whispering Pines,she always looks forward to the stay there,me too. Thank you so much and we are so happy you all felt right at home. We love our properties and we are always glad to hear our guests enjoy our little homes away from home. Come back and see us as soon as you can! We were very satisfied with our recent stay. Everything was great! Great! Thank you! We appreciate your perfect review, 100% satisfaction and comments. We look forward to your return visits. It was a very nice relaxing visit. Nice view from the balcony with comfortable seating. Only complaints was a little difficult to maneuver in a wheelchair. (I was told that there were no units that were handicap. The only other complaint is the bed, it is extremely high and noisy (squeaky). It is a nice place to stay though. Thank you so much for staying with us and thank you for the feedback! 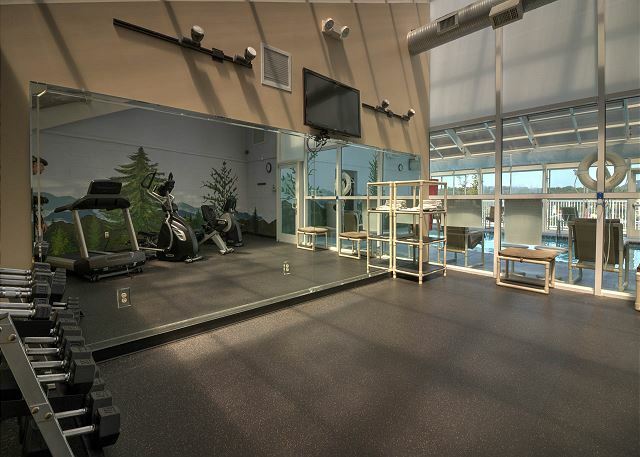 We do have units which are semi-handicapped accessible, with safety bars in the bathroom and shower, its just a matter of which of those are available during a particular stay. Please let us know immediately if you have any issues at all that impact the enjoyment of your stay, we help in any way we can! Come back soon! We had a great time. It was perfect amount of space for me and my child. 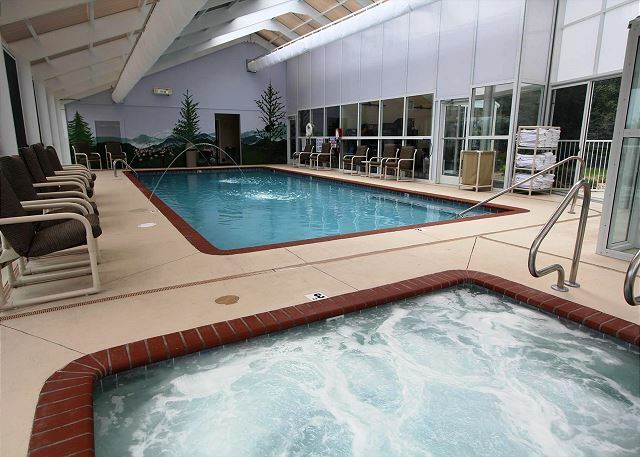 We enjoyed the indoor pool and convenience to shops and restaurants. The only bad thing was the washer did not work. I notified mgmt they were willing to come and check out the washer but I was leaving the next day and told them they could wait after I checked out. Overall great condo and Very friendly staff! Great! We are happy you enjoyed your time with us and enjoyed our sorry about the washing machine! Unfortunately things do break occasionally but it was repaired after your departure. We hope you will come back and see us again soon! Great! We are happy you enjoyed your time with us and enjoyed our amenities, so sorry about the washing machine! Unfortunately things do break occasionally and it was repaired after your departure. Thank you for your understanding! We hope you will come back and see us again soon! We have stayed in WP111 several times over the past few years. We love the location and the city view. The staff is always friendly and very helpful, and the rooms are always clean. I would suggest, however, that it is time to replace the furniture with something that is of better quality and comfort. Thank you so much for staying with us and for being such a loyal guest! We are glad you enjoyed your stay and we will pass along your suggestions to the owner. Come back soon! People were very polite and courteous. Condo was clean and organized. We would definitely stay here again. We were suprised by the lack of counter space in the bathroom and the lack of space to put your cloths. Thank you so much for staying! We appreciate you and hope you will spend some time with us again next time you are in the area! We had a very nice experience during our stay. The only complain I would say we had was the extremely squeakiness of the mattress. Using the remote was not very user friendly but other than that, the place was excellent. Beautiful place and would love to stay again at some point and time. Great! So glad you enjoyed your time here, we will pass along your feedback to the owner, come back anytime! Thank you for staying with us at Whispering Pines. We are so glad that you enjoyed the condo and your stay. We appreciate your business and hope that you can visit with us again! Great relaxing weekend enjoyed the view room and the pool! Sunday had the pool to ourselves ! Everyone was in the Lazy River.Very quite and peaceful place to stay. Enjoyed eating @ the Pottery Mill and of course enjoyed a day @ DollyWood and the Island! Great Weekend ready to return soon! Awesome! Happy Anniversary! Glad you had a great experience and we hope to see you soon! Whispering Pines is a very nice place to stay and in a great location. Everything we needed and wanted was right there! I would highly recommend staying here. We will stay here again in the Fall! See you then! Happy Belated Anniversary! 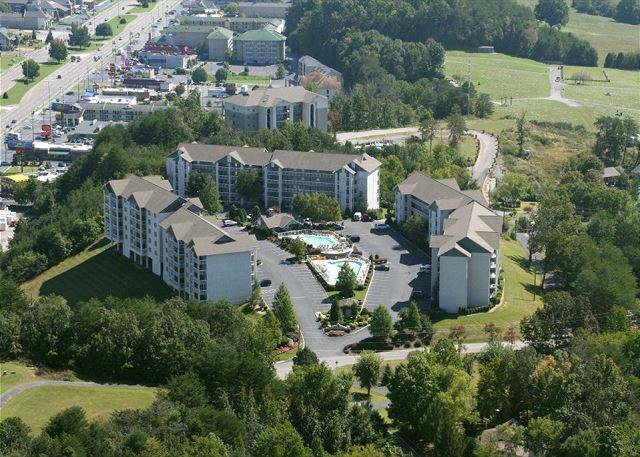 Thank you for your visit to Whispering Pines Condos in Pigeon Forge, TN. We appreciate your excellent review and plans to return. See you this Fall. We love to stay at Whispering Pines. Clean rooms, very reasonable prices & an awesome lazy river! We love having you! Thank you for vacationing with us! Hope you return again soon. We enjoyed staying at the property, was clean, quiet and pretty area. Check in Staff was nice, concerned about how our stay was going. My children loved their sleeping area, the inside pool and especially the lazy river. Only suggest about the lazy river area exspecially in the evening time for our experience needs more Parent Supervision with Children between ages 15 and up. We experience not so fun nor safety with other tenant children hogging all tubes and playing with them inappropriately. All and All I would stay again at this location and have stayed in the past at the cedar lodge location, enjoyed there as well. That location should be upgraded with the same attractions as the inside pool, inside hot tub and a lazy river. Also better instructions regarding how to work the TV's we were unable to get TV's working for the most time we were in there due to being able to connect due to no service and nobody to call after hours. I did make mention at the service desk after 2 night stay and it was fixed by the time we returned, other than that I will keep this property in mind for my next stay in the future. Thank you for staying with us at Whispering Pines. We are terribly sorry that there was not ample parental supervision at the lazy river. Please always let our staff know if you have any issues during your stay. We also have security on property for any problems that arise. We also provide after hours information with your check in package that includes telephone number to call when our office is closed. We appreciate you taking the time to submit feedback regarding your stay and hope to see you at Whispering Pines again in the future. Our week in Pigeon Forge was enjoyed at Whispering Pines. The one bedroom condo was very roomy and offered a safe, warm and comfortable dwelling for my husband and I. We cooked most of our meals and enjoyed dining in our condo. The well equipped kitchen made cooking very easy. Staying inside with a warm fireplace made us very happy as the weather was very cold during our stay. Whispering Pines is very convenient to everything you need or want. The decor was delightful as it offered a cabin atmosphere. Relaxation came easy with a soak in the jaccuzi tub. When you are away from home it is hard to find a bed that sleeps comfortably. The mattress was super good and provided great sleep! We can assure you satisfaction and delight if you choose to stay at Whispering Pines Condo. We hope to return in the future. I almost forgot! We also enjoyed a dinner at the Hatfields & McCoy Show...one free admission to the show with your stay at Whispering Pines! The food is great and the show is entertaining; you also get a ticket deal at the Comedy Barn Show. Both shows offer good family entertainment. If you simply want to watch a movie in your condo....FREE movies are available also. What more would you want during your stay? A great place to eat is Timberwood Restaurant on the Island. It has the BEST BBQ Ribs you will ever eat - large quantities and delicious - Guarantee You. WoW!!! Thank you for all your kind words ...we love Whispering Pines and it sounds like you do too! So happy you had such a wonderful time here and in fun filled Pigeon Forge! This area is truly something special...we are blessed to live here. Come back and see us soon! My fiance and I stayed at Whispering Pines for two nights this December. Everything was very nice, from the suite to the staff. 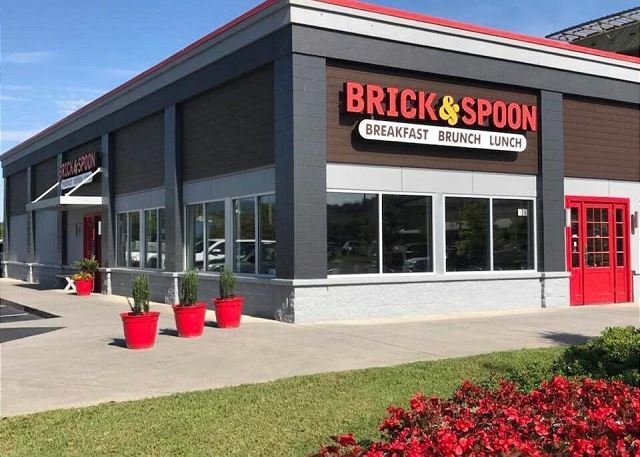 It is right off of the parkway in Pigeon Forge so it is very convenient and not at all hard to find. I found nothing wrong with my stay here and will definitely not hesitate to stay here again. Thank you for staying with us at Whispering Pines Resort. We are glad that you enjoyed condo 111 and found the resort to be convenient and easy to find. Thank you for your review and we hope to see you again in 2016. The condo was very clean and in a good location. The only negative is that the mattress needs to be replaced. 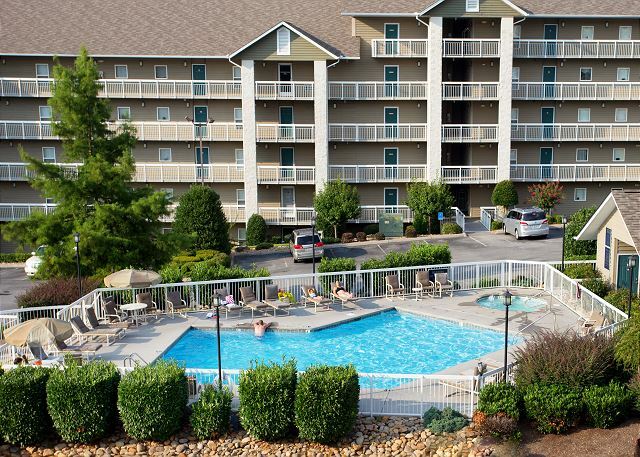 We are glad that you enjoyed your stay in unit 111 at Whispering Pines Condos in Pigeon Forge, TN. We will pass the need for mattress replacement on to the condo owners. See you next time. Thank you for staying with us at Whispering Pines. We appreciate you and hope to see you again soon. We really enjoyed our stay at Whispering Pines. We will stay there again. 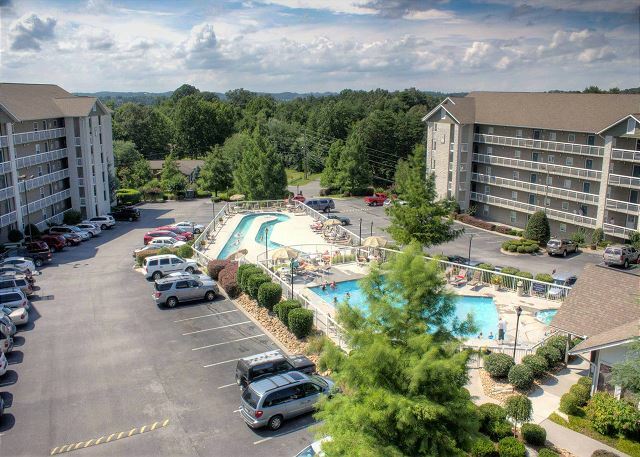 Thank you for your review and your stay in unit 111 at Whispering Pines Condos in Pigeon Forge, TN. We look forward to your return visits. everyone was very nice. my room was very clean and nice. i would stay there again and recommend to anyone. Thank you for taking the time to leave us a review! Our guests mean teh world to us and we hope to see you again! Thank you for staying with us! We hope to see you soon! Living room had lots of seating and TV was over fire place which gave more room. Room was clean and bed was comfortable. Only problem was Wi-Fi was weak and this unit did not have an outlet to plug in for internet. We have been staying at Whispering Pines since it was only section 1 and 2. Thank you for your feedback! We are pleased to hear you enjoyed your stay in condo 111. We appreciate your continued patronage and look forward to your next visit. 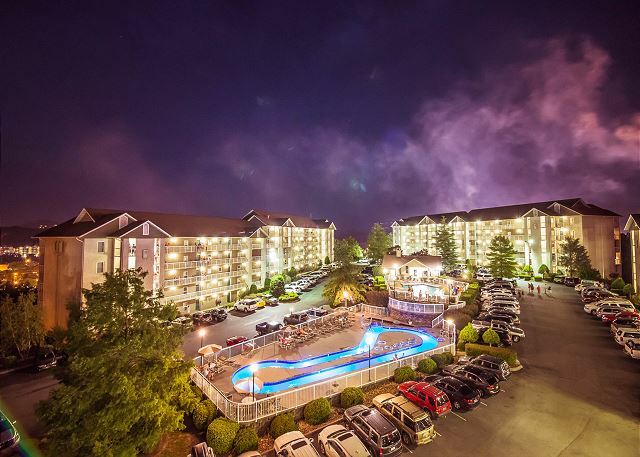 We appreciate your vacationing with us at Whispering Pines Condos unit 111 in Pigeon Forge, TN. "Happy" is a good adjective for a vacation. Thank you. Nice time of the year to visit Whispering Pines Condo. Not crowded for most of our stay. Condo was clean and staff was very friendly and helpful. Enjoyed Smoky Mountain Opry Variety Show on this trip. Thank you for your recent stay and your your wonderful review. We appreciate you and your kinds words. We hope to see you again soon. very good experience. everything was good EXCEPT the tv controls. VERY HARD TO OPERATE. one of the controls was worn so bad, could not read it. two controls and neither worked properly. Thank you for your feedback. We apologize for the inconvenience with the TV remotes. If there is ever anything of concern during your stay with us, we do recommend you contact the front desk so we can promptly assist you. We are pleased to hear overall you enjoyed your experience. We appreciate your patronage and look forward to your next visit. Thank you so much for choosing to spend your Anniversary with us. We could not be more grateful that you would want to spend such a wonderful occasion with us. We really appreciate you for being such a loyal guest. Thank you for your review and we look forward to your next stay with us. Excellent. Condo was clean and very comfortable. Plan to stay there again. We are so happy to hear you enjoyed your stay with us! The best part is you got to see some snow too! We look forward to seeing you next time. We are so pleased to hear that you had a wonderful stay with us. We appreciate you and hope to see you again soon. We had a wonderful time. The best stay we have had in a while. We are thrilled to hear that your stay with us was wonderful. Thank you for choosing Whispering Pines for your getaway. We cant wait to see you again soon. very clean, very relaxing,enjoyed it very much! Thank you so much for staying with us. We are delighted to hear that you had an enjoyable stay at Whispering Pines. We hope you can visit us again soon. We stayed at the Whispering Pines Condo #111 and thoroughly enjoyed ourselves...great place, whether young, old, or in between! Thank you so much for staying with us at Whispering Pines. We are so happy to hear you enjoyed your stay with us. We look forward to seeing you again soon!